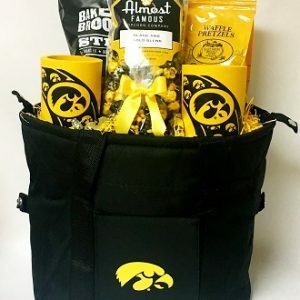 My best selling baskets are baskets created with Iowa made products! 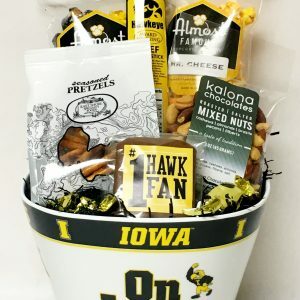 Create your own Iowa Heartland Basket from the many great Iowa products or choose from the ready made baskets shown on my website. 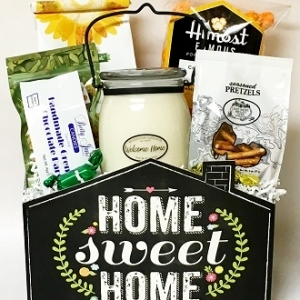 Baskets or boxes run from $15.00 to $200.00. 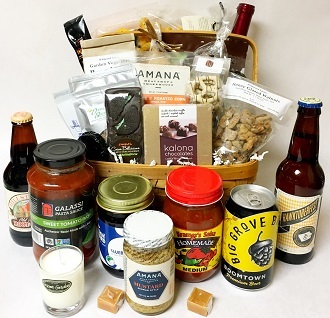 The basket shown in the picture without the products displayed in front is $127.00 to $137.00 depending on choice of wine. included in the basket are Cedar Ridge wine, Amana honey corn puffs, Amana snack mix, Amana beef salami, Almost Famous Popcorn, Wildwood Farms soup mix, Wildwood Farms bread mix, Perfect Blend Shortbread, Triple T beef stick, Betty Jane Homemade Candies Betty Bites, Betty Jane Homemade Candies Gremlin Bar, Cocoa Bellissimo cinnamon sugar chocolate clusters, Cocoa BellissimProductso chocolate bar with mint Oreos, O’Briens Own Granola, Kalona Chocolates 4 piece box of chocolates, Wildwood Farms honey walnuts, Mount Vernon Confections chocolate dipped Oreo and Mount Vernon Confections chocolate dipped pretzels. Not all of my Iowa products are shown in the picture. Below is a complete list of all of the Iowa products that I carry. 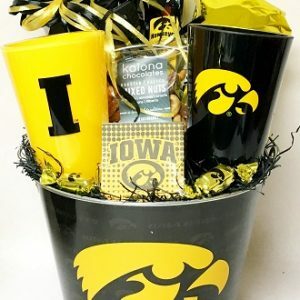 Iowa Heartland Baskets run from$25.00 to $200.00.